They did. And in the decade since, so have more than a billion people, not just American college students but also farmers in India, activists in Egypt and pop stars in South Korea. Facebook has transformed how much of the world communicates. Zuckerberg’s insistence that people use real identities, not quirky screen names, helped blur, if not erase entirely, the divide between our online and offline worlds. Long-lost friends are no longer lost. They are on Facebook. From its roots as a website with no ads, no business plan and a hacker ethic, Facebook has grown into a company worth $150 billion, with 6,337 employees and sprawling headquarters in the heart of Silicon Valley. Born in the age of desktop computers, three years before the iPhone’s debut, Facebook is now mainly accessed on mobile devices. Many of these mobile users never had a PC. Facebook has had plenty of stumbles along the way, from privacy concerns to user protests when Facebook introduced new features, not to mention a rocky public stock debut in 2012. Even its origin was the subject of a lawsuit and a Hollywood movie. So far, though, Facebook has trudged on. As Facebook enters its second decade, the company faces a new set of challenges in reaching the next billion users, the billion after that, and the one after that, including the majority of the world without Internet access. It must also keep the existing set interested even as younger, hipper rivals emerge and try to lure them away. There are 1.23 billion Facebook users today, or roughly 17 percent of the world’s population. Although that’s far from connecting the whole world, Facebook is here to stay. It’s reached critical mass. Javier Olivan joined Facebook Inc. as vice president of growth and analytics in 2007. It was a different time. Myspace was the dominant online hangout with 200 million members. Facebook had 30 million. Facebook’s user base had been accelerating steadily, Olivan said, as it expanded from Harvard’s campus to other colleges, then high schools, and in 2006, anyone over 13. Users in the U.K. and other English-speaking countries then began signing up. But around 2007, growth plateaued. If Facebook was going to connect the world, as its mission states, it couldn’t be an English-only service. So Facebook turned to its users to help translate the site. A Spanish version came in 2008, followed by dozens of others. Growth accelerated again, and volunteer translators are still adding new tongues, whether that’s native African languages or pirate slang. 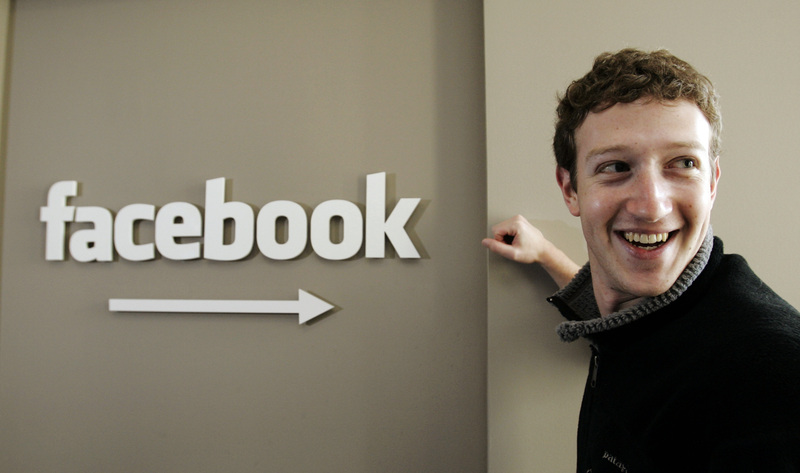 Facebook got its 100 million users by August 2008 and half a billion two years later. By 2012, a billion people were logging in to Facebook at least once a month. While sharing photos and updates with friends is a universal experience, Facebook is customized depending on where you live. In Japan, for example, users can list their blood type on their profiles, as it’s something that would typically come up in conversation when you meet someone — kind of like horoscopes in the U.S. Beyond language, another hurdle was mobile. The iPhone came along in 2007, and Facebook’s iPhone app soon followed. But the app was slow and buggy, fueling concerns that it wouldn’t be able to transform into a “mobile-first” company, as it wanted to be. About the time of its initial public offering of stock, potential investors fretted about its ability to make money from mobile ads. That’s no longer an issue. Facebook’s stock is trading near record highs. The majority of the company’s advertising revenue now comes from mobile, rather than Web ads. No doubt other challenges will come. “At some point there will be barriers such as illiteracy, (creating) hardware for people who can’t read and write,” Olivan said. Content on the Internet will have to be translated into languages that are barely represented online today. On any given day, 81 percent of Facebook’s users are outside the U.S. and Canada. Indonesia has 65 million users who log in at least once a month. That’s about a quarter of the country’s population. India boasts another 93 million. As Facebook’s user base started growing in emerging markets, another hurdle emerged: the high cost of smartphones and Internet access. So, in 2011, Facebook launched an app called Facebook for Every Phone. It lets people without fancy smartphones access the most popular features, such as reading status updates and sharing photos. More than 100 million people use it each month. Facebook is the first Internet experience for many people in India and other emerging markets, said Kevin D’Souza, Facebook’s growth manager in India. That means people who have never used email are signing up for Facebook, using their phone numbers instead of an email address to log in. Last summer, Facebook launched Internet.org, aimed at getting everyone in the world online. As far as birthdays go, Facebook’s brought out reflection, nostalgia and lots of memories. Connie Zong, who signed up for Facebook during her sophomore year at Harvard 10 years ago, remembers when she heard that Zuckerberg was dropping out of Harvard to work on Facebook.